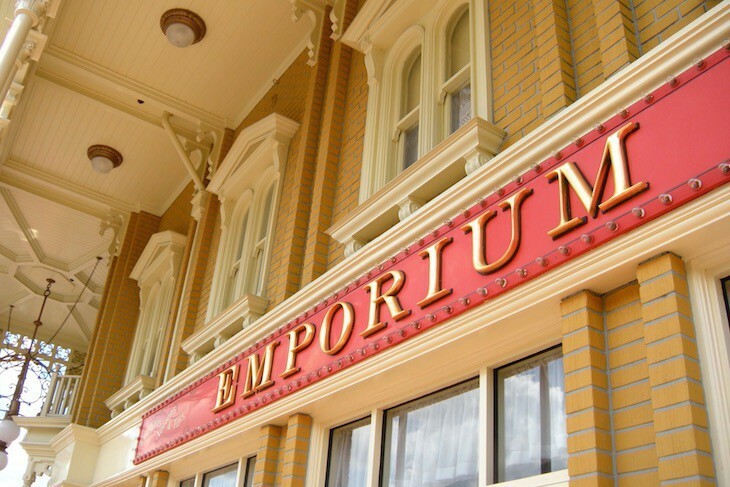 You can’t help but to be swept away by the nostalgia of the turn-of-the-century inspired Main Street, U.S.A.®. The streets of this all-American small town (inspired in part by Marceline, Missouri where Walt Disney grew up) are lined with shops and restaurants, a delight to both the young and the young-at-heart. 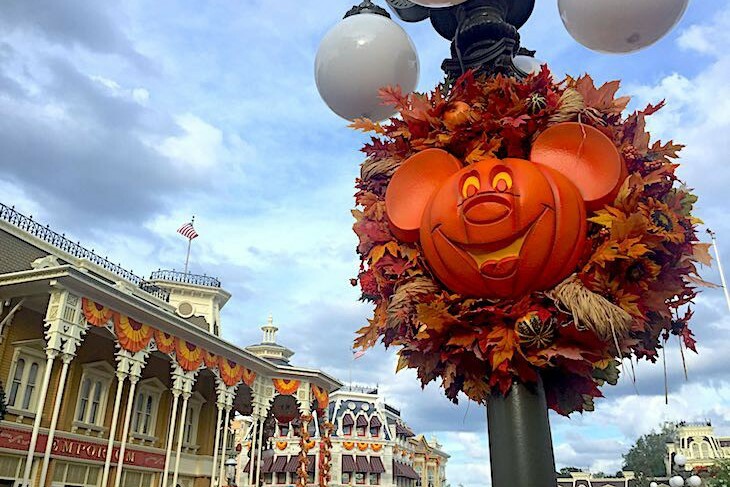 You can travel down Main Street, U.S.A.® by foot, horse-drawn trolley, fire engine, omnibus, jitney or horseless carriage where you’ll relish the authentic details that appeal to every single one of your senses. From the barbershop quartet singing perfect four-part harmonies to the smell of fresh-baked cookies permeating the air, to the amazing architectural details. 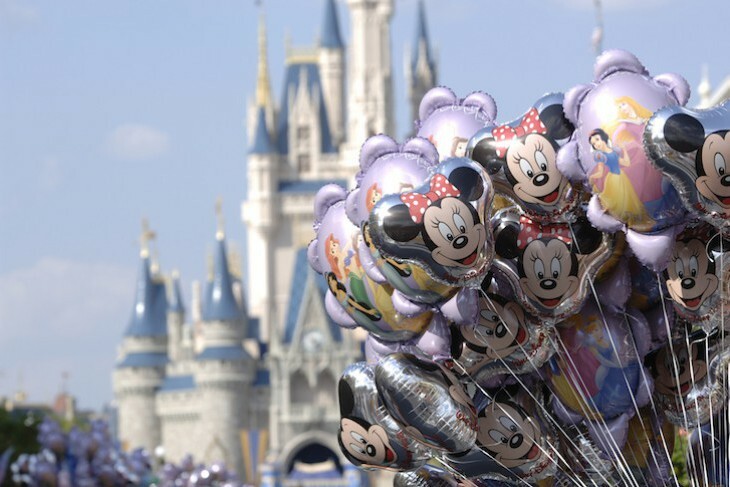 And at the end of Main Street, U.S.A. is Cinderella Castle, the icon of Magic Kingdom® Park. 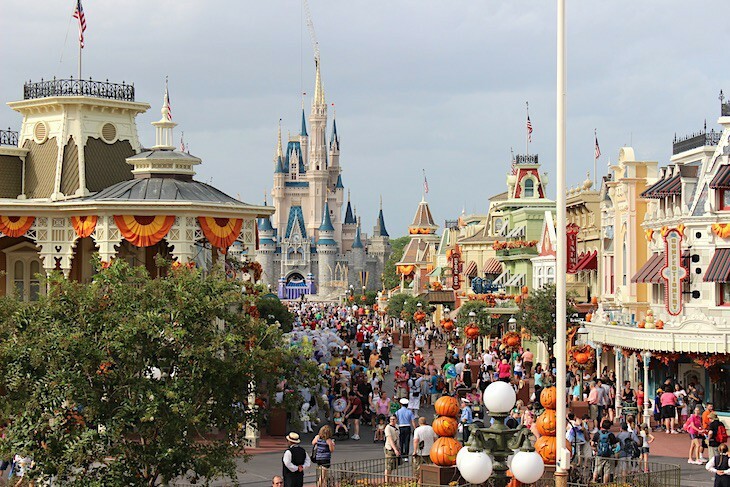 Cara's Tip: Be sure to allow plenty of time to enjoy Main Street, U.S.A.. Too many people rush through this part of the Magic Kingdom Park experience. No matter how many times you visit you are bound to discover something new and exciting each time! Just wait until you see the fire-breathing dragon! Main Street balloons are a must! Genuine 1928 steam-powered trains puff around the perimeter of the Magic Kingdom® Park with stops in Frontierland®, Fantasyland, and Main Street, U.S.A.. The entire loop takes approximately 20 minutes. Trains depart each station about 7 minutes apart. Hop on a variety of old-time vehicles putting and honking their way down Main Street, U.S.A. to Cinderella Castle. Enjoy horseless carriages, jitneys, and shiny red fire engines or the non-motorized trolleys pulled by handsome Belgian and Percheron draft horses. Guests will delight in giant floats topped with scores of Disney characters depicting scenes from such classic films as Peter Pan, Sleeping Beauty, and The Little Mermaid, to more modern movies depicting Brave, Frozen, and Tangled. 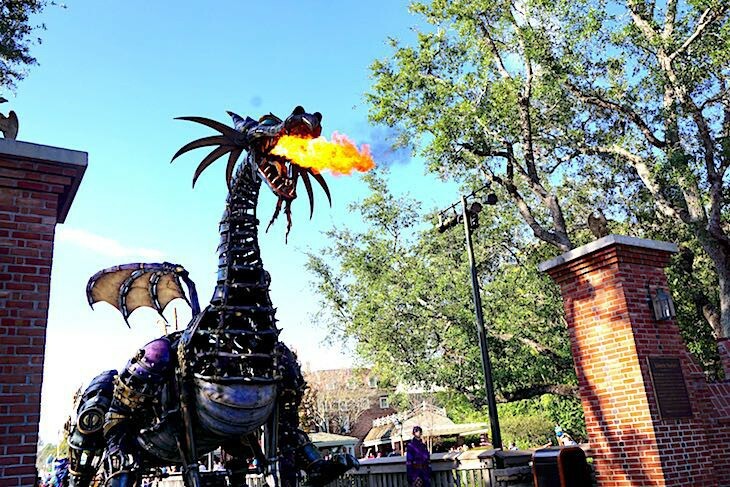 One great highlight is Maleficent appearing as a fire-breathing dragon. 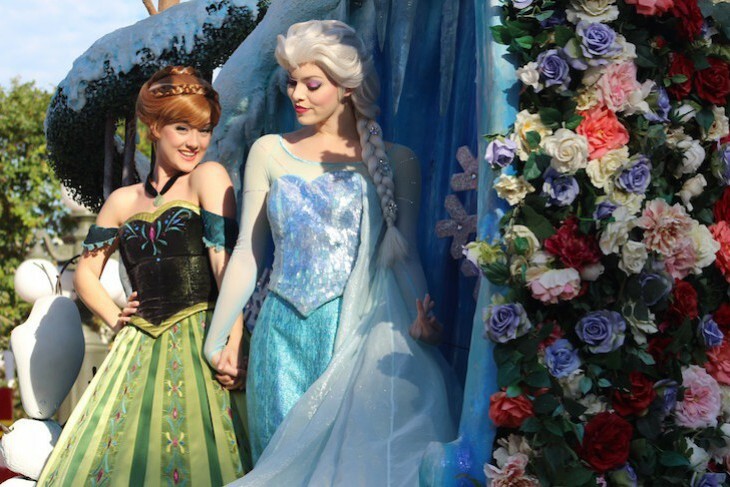 Even Anna and Elsa from Frozen appear on the Princess Garden float. Don’t miss it! 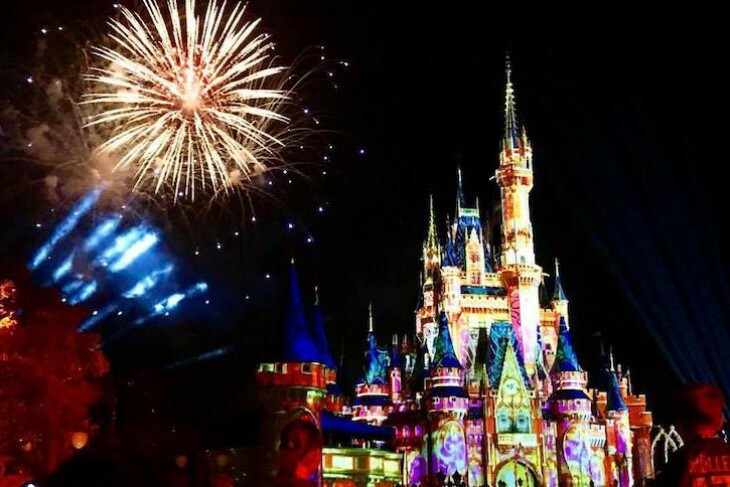 Magic Kingdom evenings end with this awe-inspiring show that starts with a dream and includes many animated feature films such as Aladdin, Brave, Frozen, The Hunchback of Notre Dame, The Lion King, Toy Story, and much, much more. And to top it all off are stupendous special effects featuring lasers, lights, state-of-the-art projections, more than any other fireworks spectacular in the history of Magic Kingdom park! This along with a stirring score featuring popular Disney songs. A fantastic finale to your day at Magic Kingdom park.